Always wanted to build a fabulous filling breakfast to suit your mood but never know how? 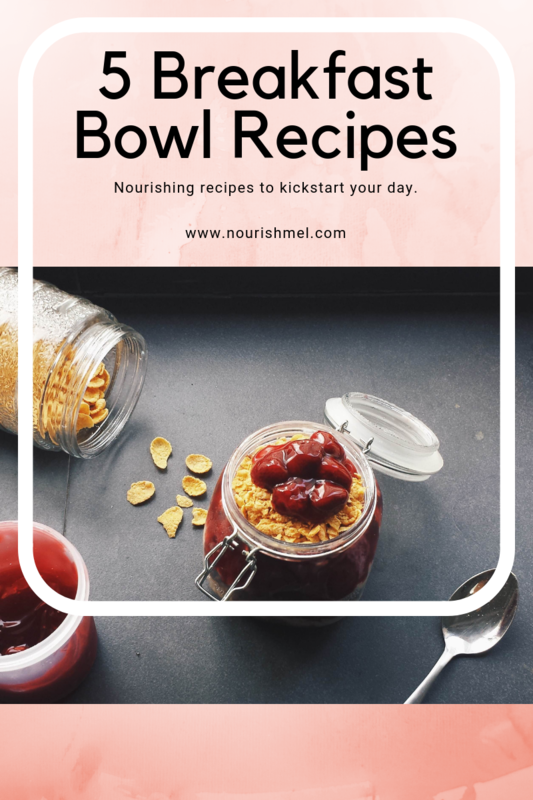 Here, I reveal the shortcuts you have always needed to build that bowl no matter what time in the morning to satisfy your cravings and set your day right. Each option can be prepared in different ways. For example, to increase flavour of the oatmeal, I add in earl grey tea bags, cacao powder and cinnamon which results in a chocolatey taste. If you are looking to avoid something sweet or chocolatey in case it reminds you of desserts, why not add in MyMaha’s Matcha powder? This gives you the organic taste of matcha, complemented with the natural sweetness from fruits if you are using them as a topping. You can also add in protein powder, matcha powder, spirulina powder, maca powder or cacao powder to yogurt, whip together which results in a different flavour and colour to your bowl. Last but not least, not forgetting nut butters! Peanut and almond butter gives an amazing taste when stirred into hot oatmeal, or slap on a teaspoon of it as a side topping to give that fat contribution to your bowl. The world is literally your oyster here when it comes to toppings! I always add a variety because each of the topping has a different nutrient quality about them and having different ones everyday can improve the diversity of your gut flora through digestion. Bare in mind that nuts and seeds have a high caloric count so you do want to count the number of nuts you put into your bowl. However, if you are active throughout the day and seeing as breakfast kickstarts metabolism, this should not pose a huge problem. Aside from that, the mineral and nutritional benefits far outweigh the amount of calories that these toppings contain. A word here on fruits and fats, you might not think this is a likely pairing. Fats are not only in avocados but also in walnuts, nut butters and pumpkin seeds for example. The options for fruits is endless; bananas, pitaya, guava, apples, grapes, all kinds of berries, kiwis, etc. you name it. Fruits lend a certain sweetness to the bowl, I usually top off mine with only cinnamon, avoiding extra sugars from honey or maple syrup. Other sweeteners you could have include coconut palm sugar and raisins. The possibilities are endless! Most importantly when building your bowl, make sure to have a good amount and variety of everything. Switch up your fruits, base and toppings every now and then so that your tastebuds will receive a new burst of flavour every other day. Create love for your bowl when building it and you will be nourished throughout the day. Grab my personal collection of five basic breakfast bowl recipes that will get you going right away.